This dual band, dual Polarized outdoor Omni antenna is design for supported 2.4/5.8 GHz IEEE 802.11a/b/g and 802.11ac applications. It supports 1x2, 2x2 and 4x4 MIMO Access Points. 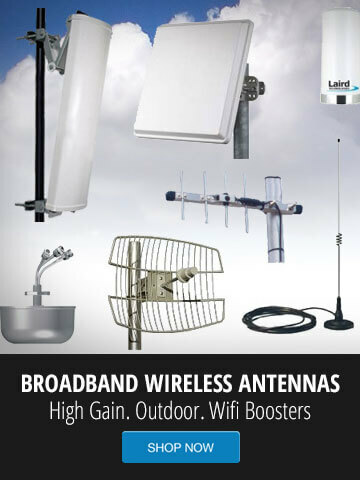 This antenna utilizes N-Female integrated connectors. You will need a N-Male to your choice of connector. GNS Wireless stocks a full line of LMR195 coaxial cable assemblies, LMR400 cable assemblies, and LMR600 cable assemblies.